Arthur has a very peculiar sleeping position which he occasionally likes to adopt. It looks as if he has fallen asleep in the middle of cat-yoga (an activity which is is also a fan of). Either that, or it was a valiant effort to occupy both towels at once. 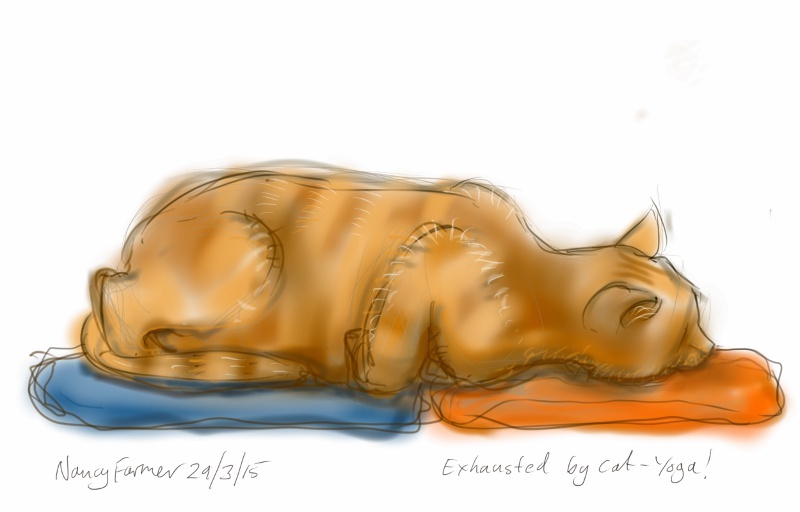 This entry was posted in Cats and tagged art, arthur cat, cat drawing, cat sleeping, cat-of-the-day, cat-yoga, drawing, ginger, illustration, sketch on March 29, 2015 by Nancy Farmer.